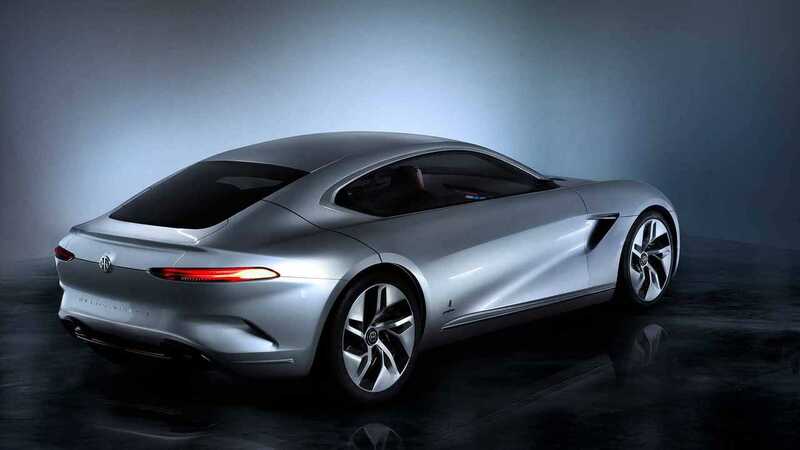 The famed Italian design house Pininfarina arrives at the Geneva Motor Show in style with the new HK GT. While technically a two-door coupe, the gargantuan gullwing doors provide ample access to the rear seats for sedan-like ease of access. Pininfarina created the shapely vehicle for China's Hybrid Kinetic Group. The HK GT has a striking look. LED headlights and vertical arrays of lights dominate the front end, and there's even more illumination at the corners of the front fascia. There's no concern that anyone wouldn't see this car coming down the road. The profile is likely the model's best angle because the long hood gives way to a flowing roof line and rounded rear. Muscular hips and broad tail lights accentuate the GT's width at the rear. The model's cabin cossets occupants in high-tech comfort. In addition to increasingly common items like a digital instrument panel, Pininfarina incorporates even more digital screens by giving the front passenger a display to play with, too. Two wraparound seats with quilted upholstery give folks in the back a luxurious place to take a journey. 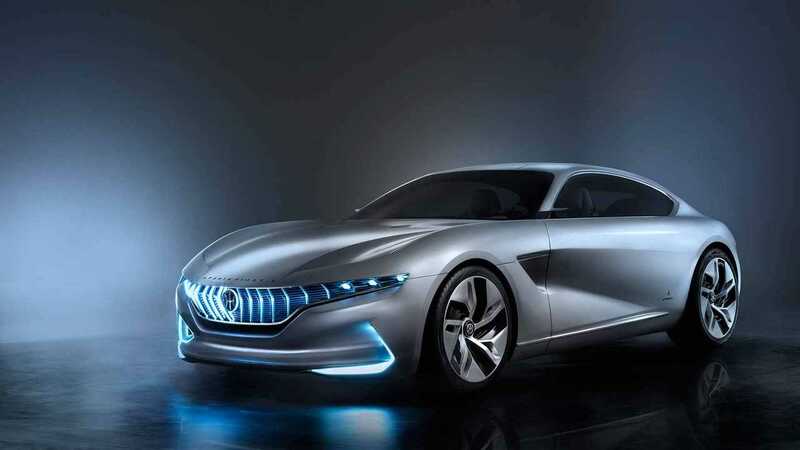 The HK GT would use a four electric motors with a total output of 1,073 horsepower (800 kilowatts), and there would be 38-kilowatt-hour battery. 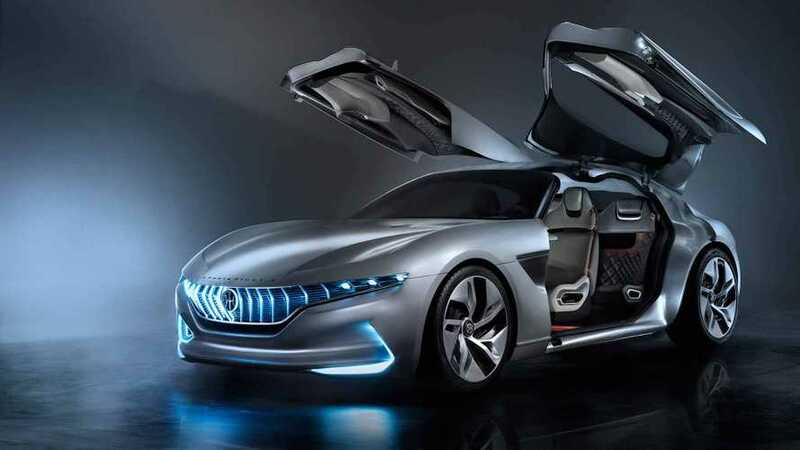 Pininfarina claims that this powertrain would allow for a top speed of 218 miles per hour (350 kilometers per hour) and acceleration to 62 mph (100 kph) in just 2.7 seconds. Three range-extenders would be potentially available: a turbine, hydrogen fuel cell, or combustion engine. Pininfarina imagines the HK GT as a vehicle that a person could use at the track, just as easily as it would be for a long ride. When the driver switches into Race mode, the interior lighting turns from blue to red, and the instrument display switches to only show essential info. The screen on the center console would show telemetry and allow for tweaking the suspension settings. - Keep the conversation going in our InsideEVs Forum covering electric cars and green technology. Start a new thread about this article and make your point.